Alexa Wood, the reigning matriarch of one of Sonoma Valley’s first families offers her unique perspective on what makes living, farming, and raising children here so special. Describe your family’s Sonoma Valley roots? My great aunt and uncle, Ralph and Effia Heins, moved to California from a South Dakota lumber camp in 1905. They were raising turkeys in the Central Valley when the depression hit. So they came here in 1936, with all their turkeys. The ranch was quite run down when they bought it, the roof was sagging and there was even a horse trader camping in the front yard. These were tough years but my mother and her siblings all moved to the ranch to help her sister make ends meet raising turkey, cattle and sheep for years to come. We started planting vineyards around 1970, in some cases replanting vines that had been here since the 1870’s. Mom always loved the ranch and its historic buildings more than anything and she started restoring the main house and rebuilding the stone wall in the early seventies, eventually opening our bed & breakfast. She also planted the first olive groves around that time. We now have about 25 acres under vine and another 5 acres or so of olives. In the last 10 years we added an heirloom fruit orchard and an organic produce garden to supply the bed & breakfast, and we continue to raise grass fed beef. After many years as grape growers, my own children, Lauren and Alex, tackled the task of making our own wine from our own fruit, with 2009 being the first vintage. We produce both an Estate Zinfandel and an Estate Sauvignon Blanc. It’s our family’s goal to continue to grow and pass on our agricultural roots. What do you appreciate most about Sonoma Valley as a wine region? I think Sonoma Valley has managed to maintain a low key and relaxed style that makes it a pleasure to live and farm here. We still work with our friends and neighbors that we’ve often known for generations. 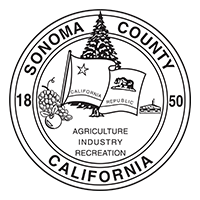 Sonoma Valley fruit has always been highly sought after by winemakers from other regions and now the wines produced here are also getting the recognition that they deserve. What do you wish more people knew about Sonoma Valley? Because of the bed & breakfast I get to hear first hand what visitors from around the world think about our valley. They often arrive not knowing what to expect, but after a day or two they are amazed. They really respond to the warmth and authenticity they find here. They’re amazed by the wines, the beauty of the land, the agricultural diversity, and the richness of the culture. Our guests feel like they’ve found that hidden gem and their usual parting comment to us is “don’t ever change”! Is there a personal story that sums up, for you, the Sonoma Valley experience? Wow, there are so many, after this many years. In 1980 I was driving a truck during harvest delivering grapes from various vineyards. I had my daughter Lauren, who was about six weeks old at the time, in a car seat next to me. We were at the local winery waiting to crush our grapes when I met George Macleod for the first time. He was also delivering grapes and was right behind me in the line. For some reason that image stuck with George and years later he was still calling me the “truck driver with the baby”! That was the start of a great friendship. Now that baby has her own babies and George was a great help to us as we moved from grape growing to producing our own wines. Intrigued to visit Beltane Ranch? 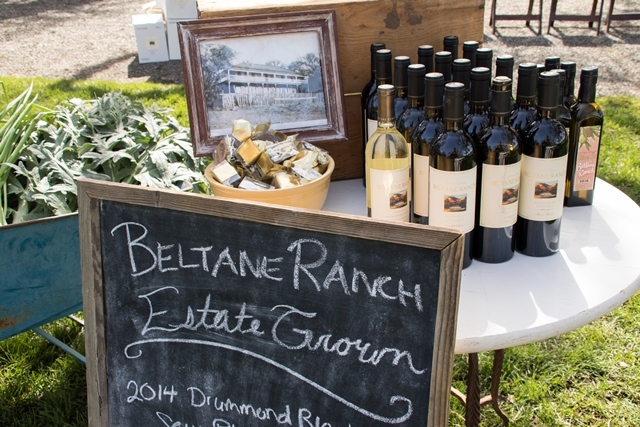 Their annual Zin Release Harvest Dinner & Barn Party in early November is not to be missed. A rare opportunity to get up close and personal with one of Sonoma’s first families, while experiencing this magical property.